Dyslexia is a specific learning disability that can cause problems with reading, writing and spelling, unlike a typical disability, dyslexia does not affect intelligence. 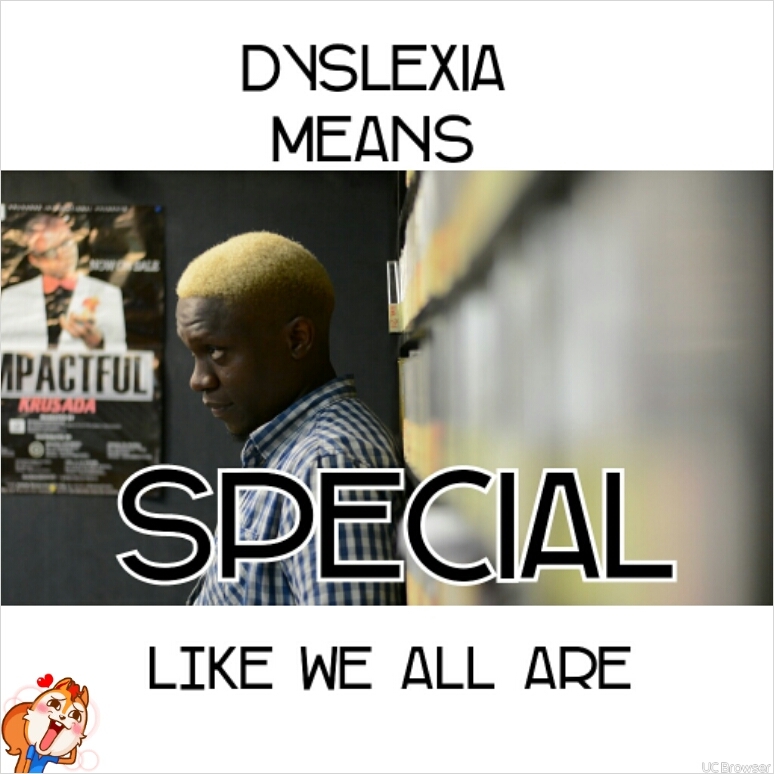 Parents in Nigeria mostly have difficulty managing their dyslexic children and kids do not seem to be helping matters too. In this interview with YNaija’s Impact365, founder of One Word Africa, Oladoyin Idowu speaks on everything to know about Dyslexia, the symptoms, the myths and how to effectively manage the condition. We also get to learn about the NGO’s past campaigns and the ones they have planned for 2017. Please tell us more about One Word Africa. 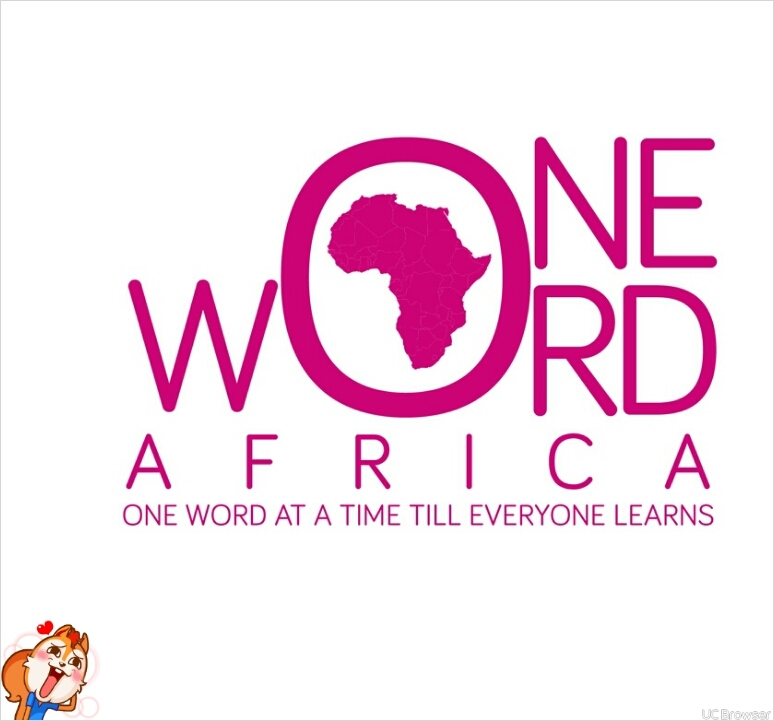 One Word Africa (O.W.A) is a dyslexia-focused initiative founded in October 2016. It is an organisation created to facilitate learning impact with focus on dyslexia support for individuals, schools, organisations and institutions all over Africa. Why did you choose to focus on dyslexia? Was there a personal experience or you just feel passionate about dyslexics? I chose Dyslexia because I am dyslexic. And i had the earnest desire to ensure that new grounds are reached in creating greater awareness in Africa about the realities of dyslexia and helping to empower dyslexic individuals; granting them a voice to change the world. What are the common myths about dyslexia that people in this part of the world need to unlearn? Fact: Dyslexia is one of the most researched and documented conditions that will impact children. Over 30 years of independent, scientific, replicated, published research exists on dyslexia—much of it done through the National Institutes of Health, funded by taxpayer dollars. Fact: According to the NIH researchers, in the United States, dyslexia impacts 20% of their population. That’s 1 out of every 5 people. We have nothing research based on dyslexia in Nigeria hence I don’t have a figure but I predict it’s more than 20%. But it does come in degrees. Some have it only mildly, some have it moderately, some have it severely, and some have it profoundly. Very few children with dyslexia are in the special education system. Only 1 in 10 will be eligible for an IEP (when tested in second or third grade) under the category of Learning Disability (LD). That means 9 out of 10 “fall through the cracks.” Although the parents and the teacher know there’s something different about the child, the child does not qualify for special education services, and most will no longer get help from the reading specialist after first or second grade. Dyslexia is not rare. It is the most common reason a child will struggle first with spelling, then with written expression, and eventually “hit the wall” in reading development by third grade. It is characterized by difficulties with accurate and/or fluent word recognition, and by poor spelling and decoding abilities. These difficulties typically result from a deficit in the phonological component of language that is often unexpected in relation to other cognitive abilities and the provision of effective classroom instruction. Fact: Although more boys are sent for testing than girls, research shows that dyslexia impacts just as many girls as boys. What are the signs to look out for in someone who is dyslexic and what are the steps to take once the signs are confirmed? Dyslexia differs in different people. No two people have it the same way. Some have it mild, some moderate and some severely. May have poor fine motor coordination. Can’t tell left from right. Mixes up m for w. Or b for d.
If a child possesses any other this traits. One should be on the look out for dyslexia. Dyslexia cuts across every age group so i may be buttressing on child but it affects adults too. So far since you started out, is there a figure to the number of dyslexics in Nigeria? No there isn’t a concrete figure yet, but I can tell you that we have more than the 20% estimated population of dyslexics. How about Nigerian schools, do they have provision for students who have dyslexia and how do you get them to be aware? Schools in Nigeria don’t even know what dyslexia is. So don’t even get me started on making provisions. Even psychologists have approached for the mental health cases (yes dyslexics fall into depression from coping in a system that tortures them, especially when they don’t have a name attached to what they are struggling with. It gets really frustrating). However, Montessori schools have been trying. Their curriculum is very interesting and they apply it to life experiences so it’s easy for kids to learn and apply them. However the montessori curriculum stops at the primary school level here in Nigeria and kids are back to square one in secondary school. 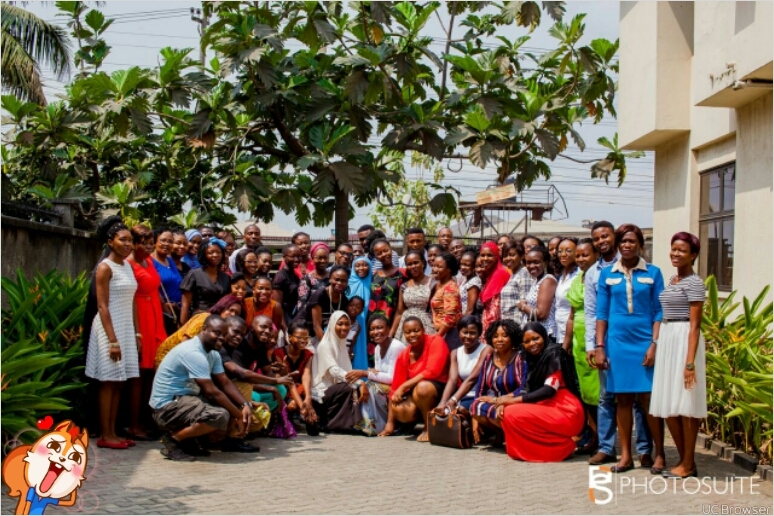 For awareness, have spoken at various forums for parents, educators and care givers and at one word Africa we personally organise training workshops for parents, teachers and caregivers, where we take them on dyslexia, it’s signs and management. Are the education ministries at federal and state levels aware of your work and have they been supportive? The federal government isn’t aware of my work yet, I haven’t gotten a platform to reach out them just yet. Whoosh! 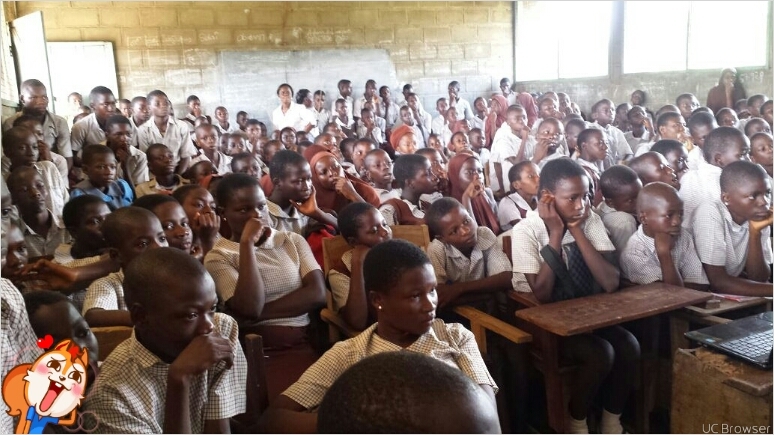 A whole lot really…Treading on the dyslexia path in Nigeria is a very lonely road. The educational system itself has a rocky bottom. (The genesis of the whole problem). Some Teachers are just in the system because that was the course given at university level. The heart is not there not the patience. Parents choose to live in denial and would rather beat a child to conform to normal (no idea what normal is). We have so much to put in place to enable us help this kids but lack the capacity to do so cause it’s no longer a Dyslexia only battle. Academic failure is on the increase and sometimes when people reach out for help on dyslexia. They are actually not dyslexic. They just don’t understand how they are being taught. Which other NGOs have you worked with and how wide has your campaign reached in advocating for dyslexics? I get support from NGO’s abroad involved in Dyslexia. Billy’s Quest, Notice Ability, Decoding dyslexia L. A and U.K.
We have nothing on Dyslexia research in Nigeria but they have been very helpful with that. I get involved in their campaigns and programs. In Nigeria, I have worked One African Child. 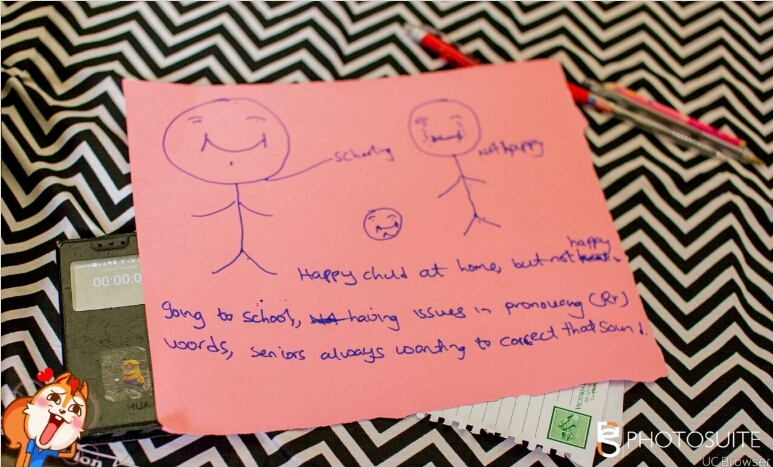 This involves helping less privileged kids with dyslexia and other forms of learning disability learn. What are your campaign plans for 2017? In 2017, first I’m pushing a campaign. More than just fighting for the rights of kids gaining access to education. Be sure that they aRe actually learning. By learning, I don’t mean cramming to pass exams or struggling to get a certificate. Students should be allowed to explore their minds and build on their own creativity. I am pushing a drive for inclusion in classrooms. Some by hands on experience. So to this effect, I came up with a support curriculum. Ways of teaching one topic to serve the four learning styles. So every child can learn disabilities or not and even better you get to discover their unique gifts and potentials. This will help us begin to raise innovators and entrepreneurs in Nigeria. I’m making it into a go to manual that educators can use and I would facilitate trainings on implementation. Learning ought to be fun not torture. Every student should always look forward to it. Students shouldn’t spend over 20 years in school and not be able to apply anything on the job. Dyslexics need to learn and if the system is the way it ought to be issues like dyslexia won’t go unnoticed These are my drive in 2017.